Just What Is Going On..? Long time readers of the Lottery Guy blog will know I’m a fan of syndicates. They just make sense for most people. 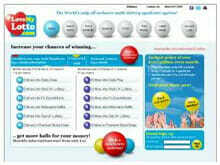 You pool your money to buy more tickets – you get a better chance of winning without breaking the bank.